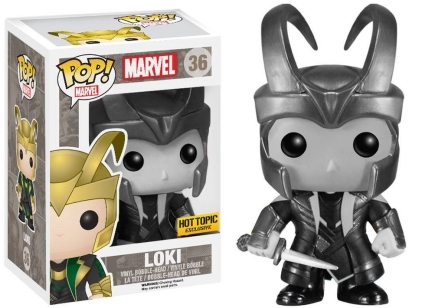 Funko Pop Loki celebrates the many disguises for the God of Mischief. In the Marvel Cinematic Universe (MCU) the adopted son of Odin is more an anti-hero than a supervillain, which is one reason he is still considered a fan favorite. As his (adopted) brother Thor takes the top spot in Pop! Marvel line, Loki naturally follows suit at #02. This early Loki figure wears the iconic horned helmet with a mostly silver breastplate. 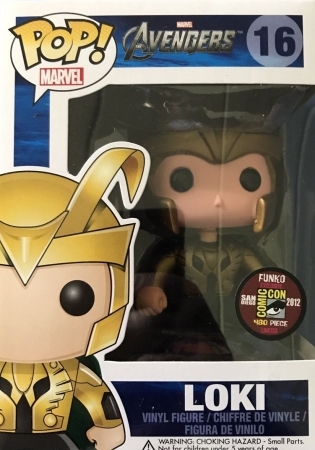 The Avengers Loki draped in gold is a limited 2012 San Diego Comic-Con exclusive. 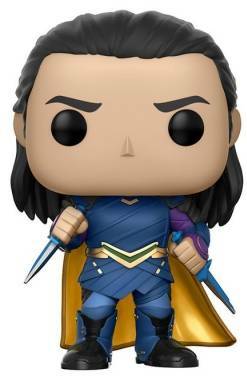 Order Funko Loki Figures on Entertainment Earth. 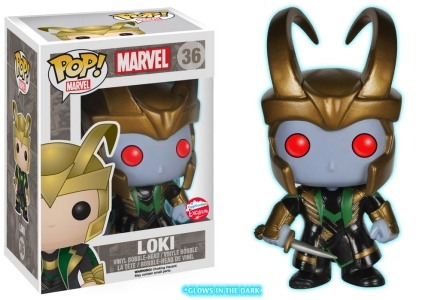 Occupying a large portion of the Funko Pop Loki set list are multiple figures issued as #36. 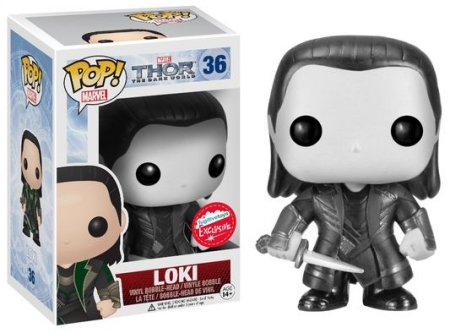 Both the main option and the black-and-white variant (Fugitive Toys) for Thor: The Dark World show Loki without a helmet as he grasps the magical dagger equal to Thor's Mjolnir. 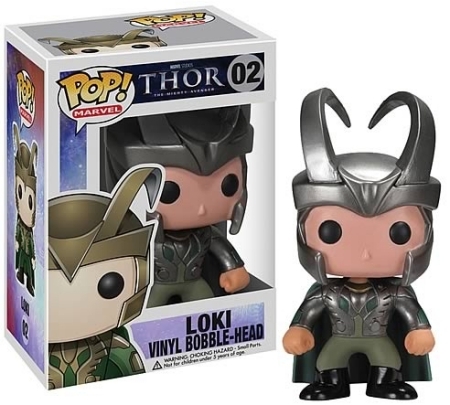 Other variants are packaged with the Marvel label and present a helmeted Loki dressed in a long coat. Fans of the Prince of Lies can also find Fugitive Toys exclusives for Frost Giant Loki with blood-red eyes and bluish skin. There is a base edition as well as a glow-in-the-dark version. 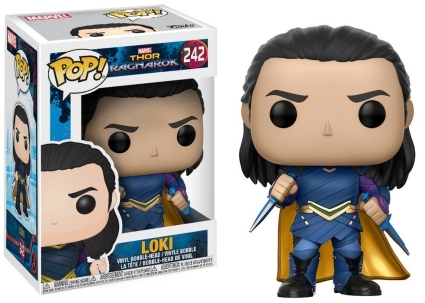 A much needed refresh, the Funko Pop Loki sculpt receives an update in Thor Ragnarok. The powerful shape-shifter rocks a blue and gold costume—cape included—with a short dagger in each hand. 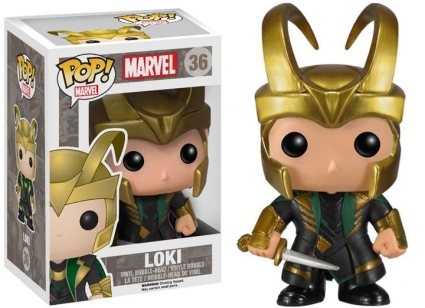 Fans hoping to find more Loki collectibles can test their magical skills with the 2014 Funko Marvel Mystery Minis and Funko Thor Ragnarok Mystery Minis blind-box releases. 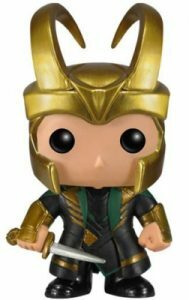 FUNKO POP Marvel THOR THE DARK WORLD LOKI #36 VAULTED RETIRED!! 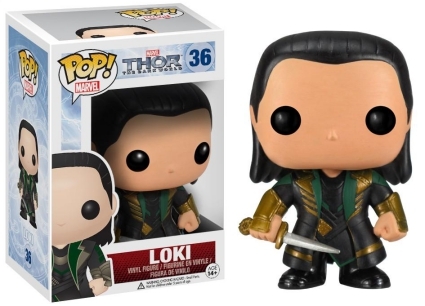 See more information about Loki figures with our related Funko guides. 2018 Funko POP! Hulk Smashing Loki #362 Movie Moments, Walgreens Exclusive! NEW 2018 Funko POP! Hulk Smashing Loki #362 Movie Moments, Walgreens Exclusive!